So in the answer to my washing prayers Miele have developed a washing machine Miele W1 and drier Miele T1 that makes the unwashable, washable...woohooo..and I am putting it to the test.. 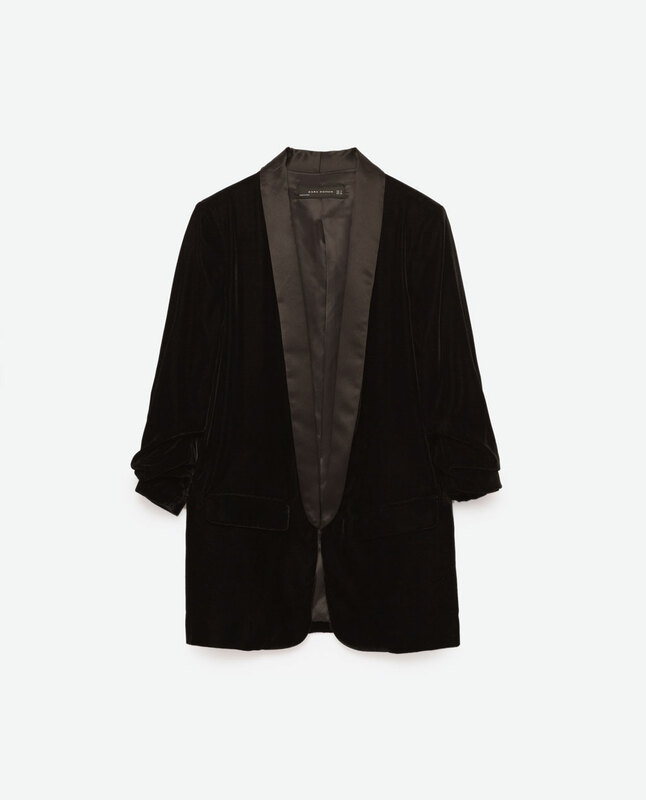 So lets start with the 'Luxury Capsule Wardrobe'.. 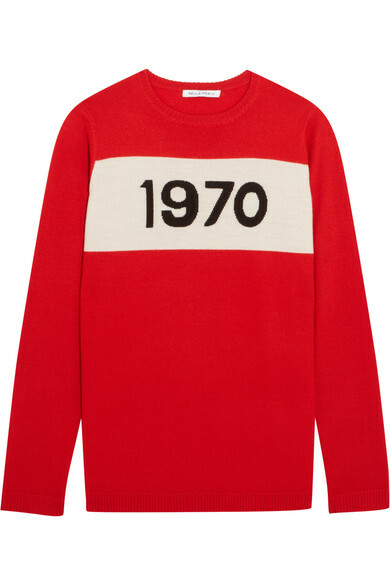 I have been longing for this Bella Freud 1970 jumper for ages. I adore the striking red and know that this is one of those sweaters that I will wear all the year through. 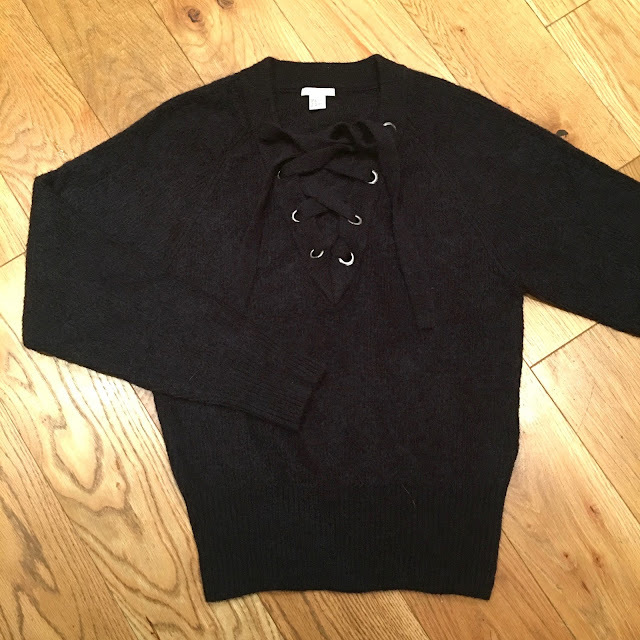 It looks fab with my everyday uniform of jeans or dungarees and trainers and in the summer I will wear with denim shorts and trainers..this jumper is so expensive and HAS to last... It is 100% wool and yep, it will go in the Miele W1 machine..
A white shirt is an absolute must have and this Cos one looks gorgeous on. The collar sits beautifully, I like a shirt to sit open but the collars not sit flat out (john Travolta style) I like them to stay in the position they should be in (clear as mud?!) 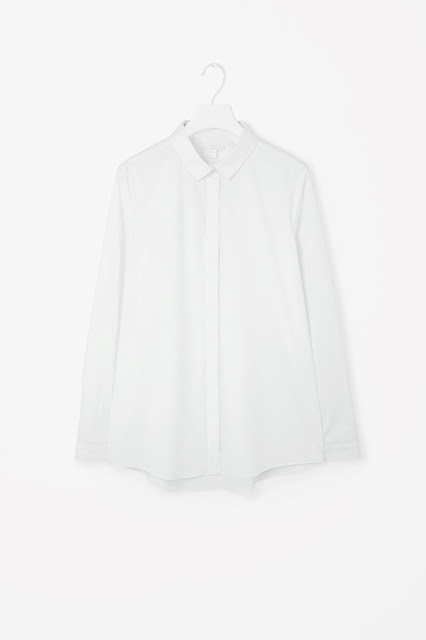 This shirt looks great with a few bottons undone and a few fine gold necklaces, preppy but grown up. It is a bright white colour, I cannot wear a white shirt if it looks in anyway grey - so I am hoping this will wash and come out just as white time and time again..
Next is jeans...I have these J Brand jeans in the blue denim colourway and have worn them non stop. I did have a massive gap in my wardrobe for a pair of black jeans as all of mine have faded to a chalky, grey colour. These crop kick flare ankle length jeans look great with heels and trainers and ankle boots in the winter. A good pair of black jeans can take you from smart to casual so easily, these flatter and hold everything in, the kick flare balances out my hips and thighs creating a flattering silhouette. 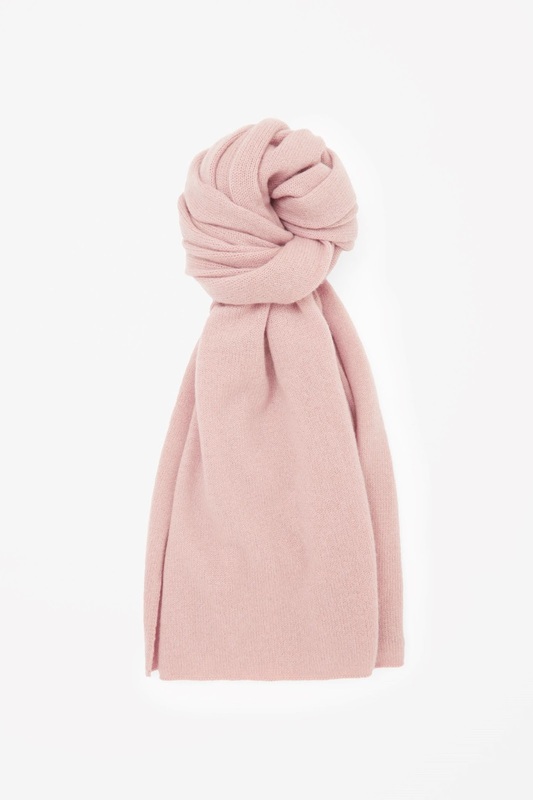 The ultimate indulgence, a cashmere scarf, this pink powder one is so beautiful. It looks great with my camel and green winter coats. The perfect travelling companion to wrap around you and make you feel super snuggly..and yes this can go in the Miele machine too.. This is my trend buy, it is a jumper I will wear loads this season and wash again and again, an angora mix, I am interested to see how this looks after a wash in the Miele W1. I am completely loving velvet this season and as a black blazer is a capsule must have this Zara jacket is just perfect. It can be so easily dressed down worn over a tee, with jeans and trainers or wear over a dress with heels. The sleeves are bracelet length and pre-ruched to give them a stylish twist. The velvet jacket completes my luxury capsule collection selection, all these items can be washed in the Miele W1 machine and I will be drying them in the Miele T1. I am known in my family as having the ability to shrink the most washing machine friendly items so I am, with trepidation, interested to see how all these items wash. I have been using the Miele W1 washing machine and Miele T1 tumble drier for the last few weeks (on my normal washing) and I can confirm I absolutely love them. They are both so easy to use, have a touch screen that is simple, lights when you open it, you can stop the washing machine mid cycle to add the random socks I always drop on the way to the kitchen. The washing comes out pristinely clean thanks to the Twindos system that keeps the liquid in the machine and disperses the exact amount the washing requires. The drier is fast, has a huge drum and stops when it detects your washing is dry. Along with the addition of steam pumped into the washing so no ironing is required. They are both amazing, honestly, honestly!! I will let you know how I get on with 'washing the unwashable' my family and friends have already asked if they can bring their cashmere around to mine to wash! How sad that this excites me so much but it really does! I would love to know what you would buy for your luxury capsule wardrobe? Do you have a Miele machine, what do you think of it?